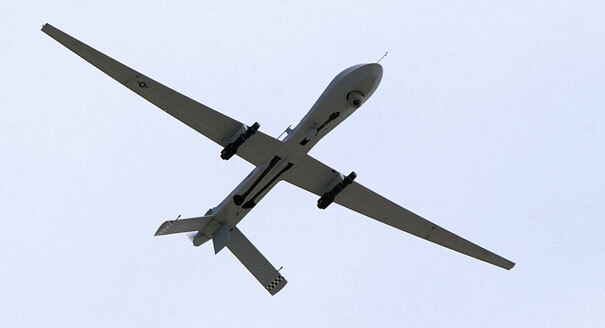 We, as San Diego Veterans for Peace, are deeply troubled by the United States Government’s current use of drone aircraft deployed in foreign nations across the globe and the potential expansion of the use of drones domestically. We call for an immediate end to drone attacks and domestic surveillance until the President of the United States provides to Congress and the American people full transparency regarding drone policy. He must provide to Congress and the American people the heretofore secret legal opinions that are allegedly used as a basis for justifying: (1) the targeting of US citizens without charging those citizens with a crime or crimes; (2) the targeting of foreign nationals who do not pose an immediate and imminent threat to the United States and; (3) the launching of drone attacks against the citizens of countries or those residing in countries, in which the United States is not in engaged in legal armed conflict. Further, we call upon Congress to pass legislation that provides for robust congressional and judicial oversight of foreign and domestic drone use, and the oversight of funding for drones within or outside the borders of the United States. Currently, programs of targeted assassinations carried out by the US military and the CIA, without Congressional or judicial oversight, allow the President of the United States to kill whomever he wants, where ever he wants, including places where Congress has neither declared war, nor otherwise authorized armed conflict. Targets have included US citizens, foreign nationals, and significant numbers of non-combatants, including children. The program is shrouded in secrecy. These strikes, primarily in countries too poor to control their own airspace, violate international and US law, create massive ill-will toward the United States, recruit fighters and terrorists against us, and establish a precedent that, if unchecked, may be followed by other nations, to our own sorrow. In this regard, the President has assumed the powers of an absolute monarch. These powers are incompatible with a constitutional democracy. We see signs of widespread deployment of drones within US airspace in the near future. The FAA has been mandated to open the skies to drones in the next year, raising concerns of cost, airline safety, and the erosion of constitutional rights at home, which would profoundly change the character of public life in the United States. Projections anticipate $10 billion in drone sales in the next decade, largely to domestic law enforcement. With state and local governments facing serious fiscal challenges, it is likely the federal government will provide this technology through Homeland Security grants or other similar mechanisms, as it has with armored vehicles, SWAT and crowd-control equipment. This will increase the federal deficit and draw money away from essential government programs and services which could otherwise be used to benefit the American people. There have already been reported near-misses between drones and piloted aircraft in US skies, which is one reason why the Airline Pilots Association has expressed its concern regarding the increase risk of skies filled with unmanned aircraft. It is, therefore, incumbent on the FAA, Congress, and all state and local governments under whose jurisdiction drones may fly, to provide uniform and comprehensive regulations to ensure the safety of the American public. In a nation in which constitutional protections against unreasonable search and seizure and the invasion of privacy have already been significantly compromised since September 11, 2001, drones constitute a substantial additional threat. Technological advances such as high resolution digital cameras, thermal imaging, back-scatter x-ray equipment, and facial recognition software extend the surveillance potential of drones far beyond anything courts or regulators have imagined in the past. As members of Veterans for Peace and having duly served our nation in the Armed Forces of the United States and taken an oath to preserve and defend the Constitution of the United States against all enemies foreign and domestic, we call upon the President, members of Congress, and all state and local governments to provide to the American people the necessary transparency regarding the intended use of drones both at home and abroad and the laws, rules and regulations necessary to ensure that use of drones in foreign nations or within the United States does not infringe upon national and international law or the constitutional rights and privileges of the citizens of the United States of America.